I must have all the jasmine things. 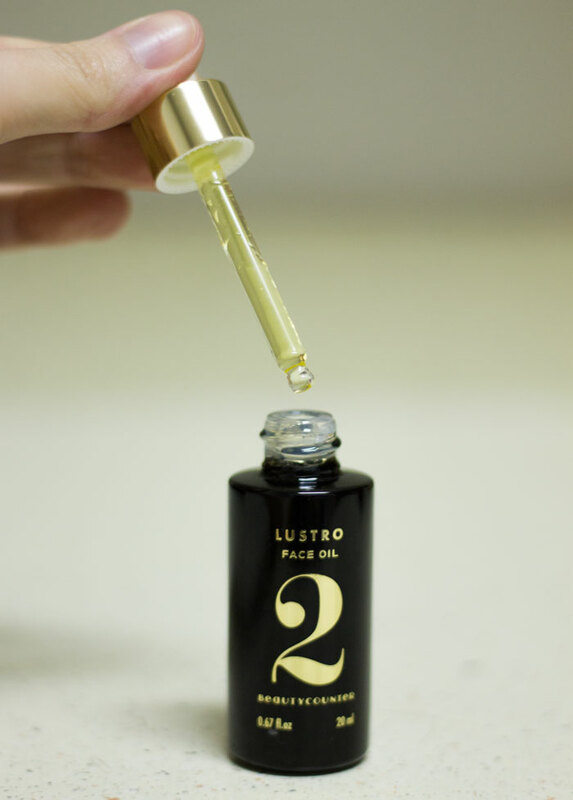 When Beautycounter consultant Heather Jadus asked me to take a look at Beautycounter and pick a few things to sample and review, Lustro Face Oil 2 in Jasmine was a no-brainer. Besides the beautiful packaging (I need to know what font Beautycounter used for the “2”) and the obvious lure of jasmine, I was impressed by Beautycounter’s mission and commitment to clean ingredients — just look at the trusted partners the brand works with to create and vet formulas! I was at ease digging through the Beautycounter site because of this genuine, green approach to skincare while maintaining a chic appeal. Good product design goes a long way when you’re trying to stand out amidst a sea of emerging green beauty brands. 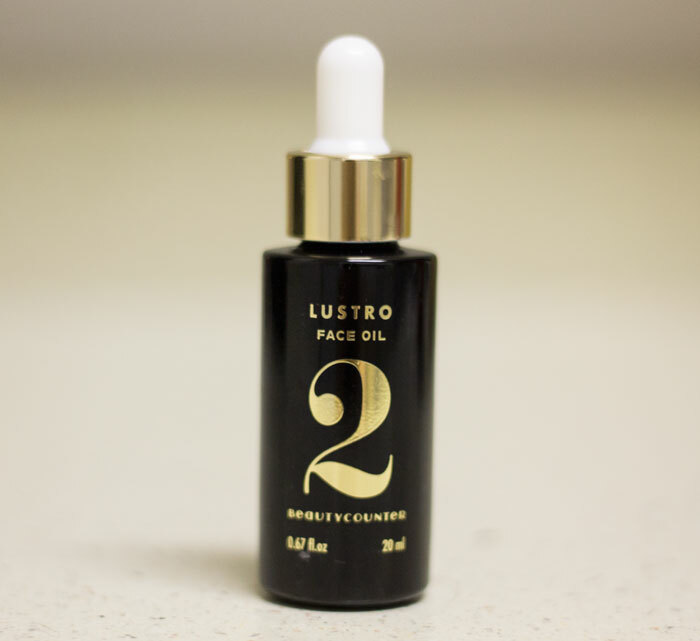 Packaging aside, Beautycounter Lustro Face Oil 2 in Jasmine was an instant hit with me upon first use. The face oil, a stellar blend of rosehip oil, grapeseed oil, sea buckthorn oil, argan oil, marula oil and meadowfoam oil, is extremely lightweight and very lightly scented with the tantalizing aroma of jasmine and rose thanks to steam-distilled jasmine and rose otto oil. Rosehip Oil, Virgin Organic Grapeseed Oil, Sea Buckthorn Oil, Virgin Organic Argan Nut Oil, Organic Marula Oil, Meadowfoam Seed Oil, Rose Otto Oil, Steam Distilled Jasmine. It takes just 3-4 drops of Beautycounter Lustro Face Oil 2 in Jasmine to cover my entire face and neck. I apply it directly after spritzing my face with a rosewater mist to get my bouquet of skincare goodness on cold winter mornings. I will admit that there are some mornings when Beautycounter Lustro Face Oil 2 in Jasmine isn’t enough; I sometimes layer additional oil or a separate shea butter cream on top to give my skin an extra boost of moisture and protection during extremely cold days. If you have very dry skin (remember, I’m oily and acne-prone over here), you may find that Beautycounter Lustro Face Oil 2 in Jasmine isn’t enough for you or you may also need to try the layering trick. I think Beautycounter Lustro Face Oil 2 in Jasmine will be the perfect summertime facial oil for me; I don’t need much hydration in the humid Midwest weather. For $68, Beautycounter Lustro Face Oil 2 in Jasmine is less expensive than some of my other beloved facial oils, so I’m going to say it’s a repurchase for summertime use. Plus, as I said before, I must have all the jasmine things. Speaking of, here’s my next target: Lustro Body Oil in Jasmine. Have you tried anything from Beautycounter? What scent do you go gaga for? Tell me in the comments section!